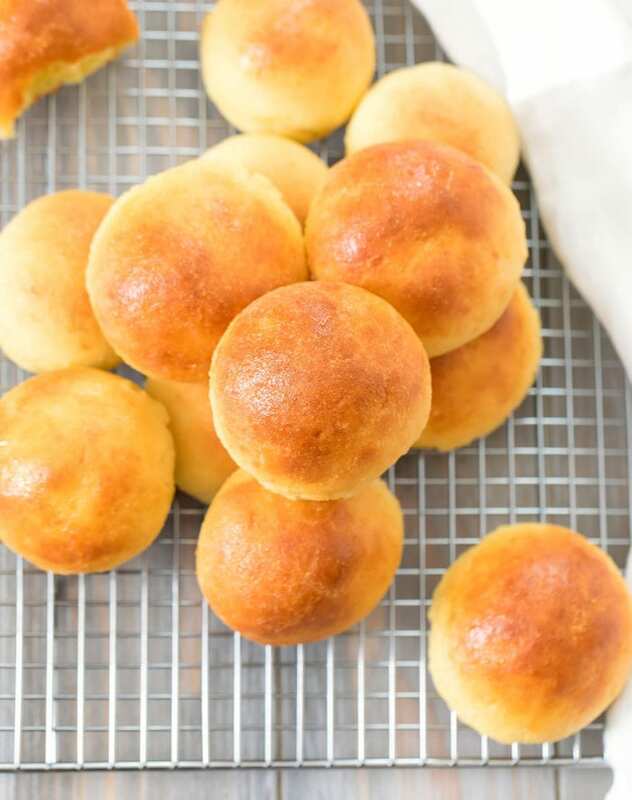 These bread rolls start with a variation on the popular Fathead dough recipe. But instead of making a pizza, breadsticks or bagels, I turned the dough into these fluffy bread rolls. 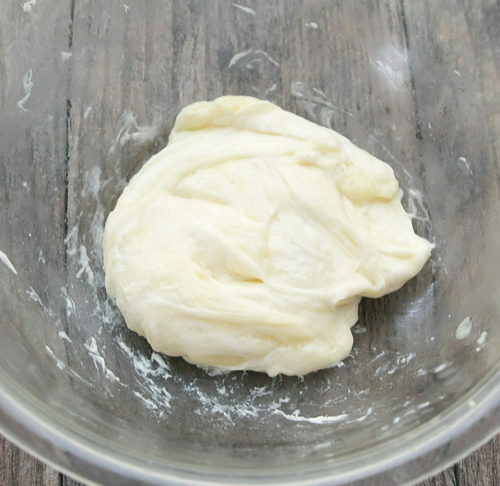 Fathead dough is a low carb/keto dough that is made out of cream cheese, mozzarella cheese, eggs and a flour substitute. It started out as a pizza crust recipe published by Tom Naughton while he was creating the movie Fat Head. 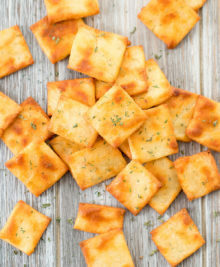 The recipe became an internet viral sensation and has since been adapted and modified for recipes beyond pizza crust, such as breadsticks, bread rolls and bagels. This bread does not taste exactly like regular yeast bread. Keep in mind it is a bread made almost entirely out of cheese and almond flour. 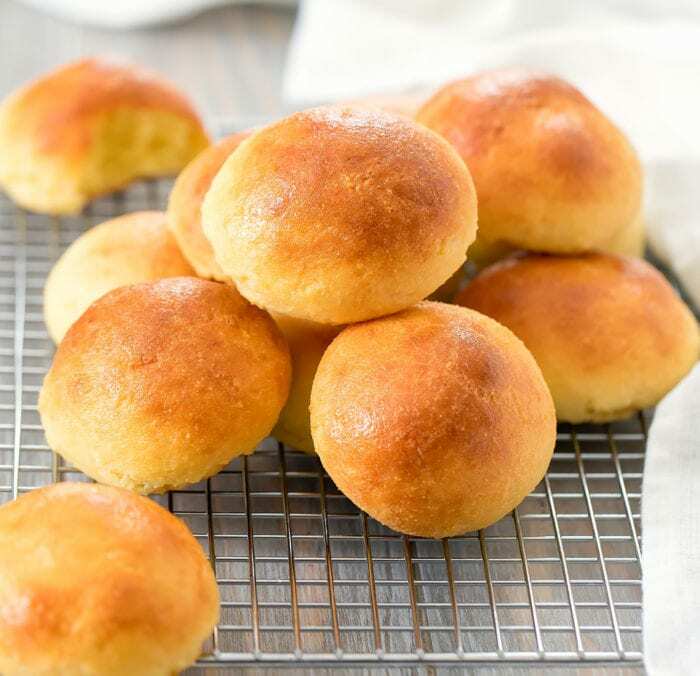 However, it is fluffy like bread rolls and it is sturdy enough to be used for sandwiches and sliders. 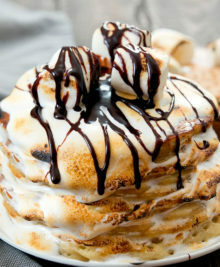 There are only a handful of ingredients for this recipe and each of them is important to the final product. Use a full-fat cream cheese. The cream cheese melts with the mozzarella and helps to create a spreadable, elastic dough. Use a low moisture part skim mozzarella. This will prevent the dough from being too wet. It’s also best to use part skim because there is already a lot of fat going into this recipe and you don’t want the rolls to be oily. Use super fine almond flour. The super fine texture mimics regular flour better and will prevent any grittiness. 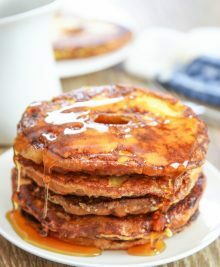 This recipe uses a combination of coconut flour and almond flour to replace regular wheat flour. Each one works differently so do not substitute one for the other. Coconut flour is highly absorbent. 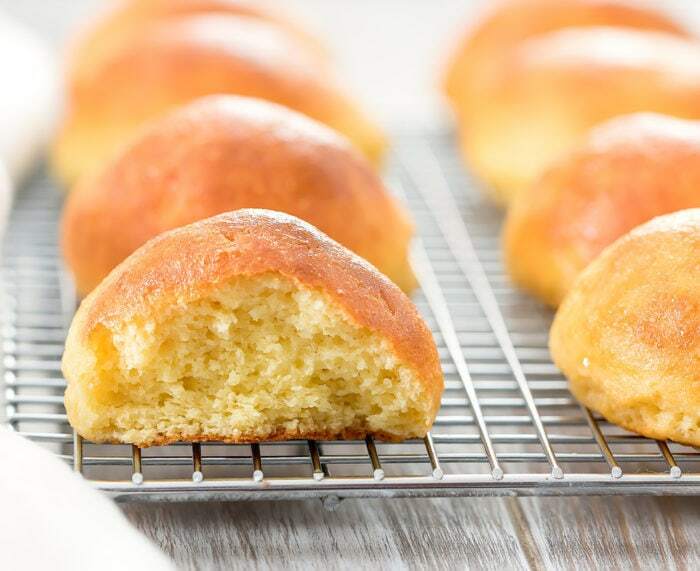 The few tablespoons added to this recipe will prevent the dough from being too wet and will also give the rolls a fluffier texture. Use an aluminum free baking powder. The recipe does use a little more baking powder than I normally use to help the bread rise. You should not taste the baking powder though and using aluminum free will help make ensure that. The eggs act as the binding agent and create the structure for the bread. The cheese dough is then blended with the eggs, flours and baking powder. 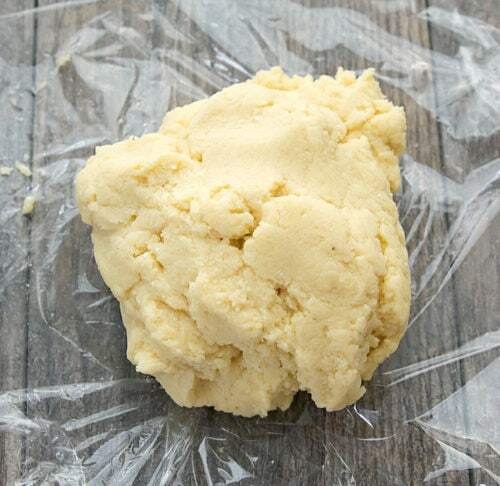 The best method for blending the dough is with a food processor. It is quick, easy and produces a very uniform and smooth dough. You can also roll the dough by hand or with a mixer but it will take more effort and time. 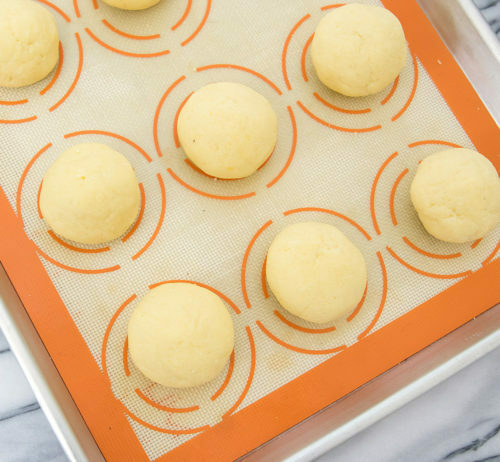 The dough is then divided into 8 equal parts and rolled out into smooth balls. Before the rolls go in to bake, I added an egg wash finish. The egg wash finish helps the exterior of the breads develop more color and gives them a little sheen. These bread rolls should be eaten hot. When they cool down, the cheese condenses and the rolls become hard. You can reheat leftovers in the microwave, toaster oven or oven. I left the bread rolls plain other than the egg wash finish. 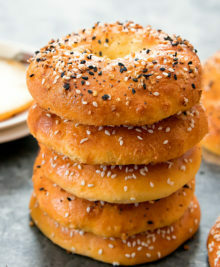 However, you can also add toppings like sesame seeds, everything bagel seasoning, parmesan cheese. You can also brush the tops with melted butter right before serving. These came out delish! I didn’t use a food processor just my hands to mix and knead. 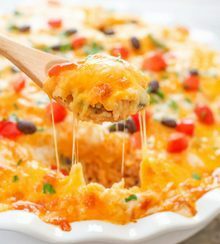 I’m sharing this recipe with my Keto Krew!